A city’s customs, repertoire of arts, architectural and social achievements, and distinct flavors are, collectively, what we come to know and to cherish when we celebrate its culture. Be it a city of ancient ruins dating back to humankind’s first permanent civilizations, or striking modern constructions that surge toward the sky like glass-and-steel beams of light, these are the cities Travel + Leisure readers flock to when they seek an injection of arts and culture. Take Il Duomo in Florence, for example. This staggering cathedral, with its first stones dating back to 1296, could very well be considered the city’s trademark. 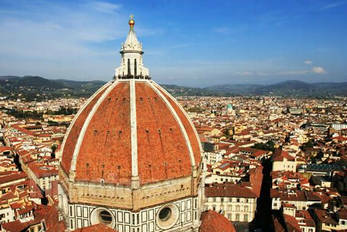 : the single structure that stands as a summation of Florence’s religious and artistic Renaissance. Without it, would the city still linger in travelers’ minds with the same unrelenting grasp? And what of our No. 1 city for culture and the arts this year? Even the faintest whisper about the City of Light conjures immutable images of Monet’s gardens, the Mona Lisa’s unnerving half-smile, the palace of Versailles’ glittering hall of mirrors. We seek culture everywhere we travel: it is the unmistakable character or quality of a city that reminds us at every turn that we are somewhere unforgettable and unique. “Cultural overload!” Exclaimed one T+L reader when describing the City of Light. Strolling through Paris’ charmingarronidssements will lead you past a staggering number of museums, landmarks, and shops that alone could qualify as cultural sights. 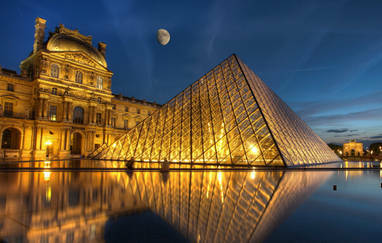 Begin with the Musée du Louvre’s most famous residents, the Mona Lisa and Venus de Milo, and catch the glittering glass pyramid in the museum’s plaza at sunset, if you can. You’ll want to see the Arc de Triomphe, Notre Dame, and the Champs-Elysées. Scale the Eiffel Tower in the morning for sweeping city vistas, and dine in its glow at night. Of course, much of Parisian culture is rooted in the city’s chic, designer boutiques (head to the Rue Charlot and Rue Vieille du Temple for the latest in haute couture. Sample flaky croissants and light-as-air macarons from any of the countless patisseries, or sip a bottle ofBordeaux while picnicking along the Left Bank of the River Seine. Thanks to Michelangelo, Botticelli, and da Vinci—just three of the artists represented in city’s collection of one million plus Renaissance works—Florence has remained a necessary stop for travelers on an arts and culture pilgrimage. This Italian city rises from the Tuscan countryside like Il Duomo, the iconic basilica with its revolutionary, herringbone-brick dome, rises from the distinctly Florentine skyline, and is known for its dizzying maze of narrow lanes lined with trattorias and cafes. Alternate dishes of smoked mozzarella, fennel-flavored salami, and chitarrine ai tre ragu (pasta with a trio of sauces) with visits to the Mercato di Sant’Ambrogio, the Medici family’s Vasari Corridor, and an open-air performance at Operandi Firenze in the summertime. Don’t leave before getting a view of the sun sparkling off the city’s prominent red roof tiles from San Niccolò tower, which reopened in 2011 after a 40-year-long, $400,000 restoration. 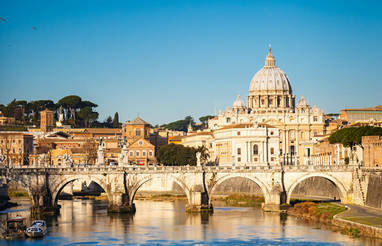 Below you, you can imagine all of the familiar landmarks in their original glory. “Kyoto…should be at the top of anyone's list that treasures history and tradition, culture and art, ponds and gardens. [It] has something for everyone.” said one T+L reader. Centuries-old Buddhist temples and Shinto shrines are scattered throughout the city, and there is a noticeable absence of flashing ads and tall buildings. Kyoto has evolved with caution, preserving its heritage with reverence. Highlights on a self-guided cultural tour include Kinkaku-ji, the gold-leaf plated Zen temple, the Fushimi-Inari-taisha shrine, with its vermillion torii gates perforating the mountainside, and the five-acre gardens at Okochi-Sanso. Don’t leave without spending at least one night at a traditional ryokan inn, like the Hoshinoya Kyoto (fashioned with rice-paper screens and intricate woodwork), slurping down a bowl of homemade soba or udon noodles, or passing a peaceful afternoon in the Sagano Bamboo Garden. Could there be anything more eternal than the city of Rome, which has captured the imaginations of historians, artists, and casual travelers for nearly 2,000 years? There’s the centuries-old Colosseum, the Trevi Fountain endowed with wish-granting powers, the immaculately-restored Palazzo delle Esposizioni with its 100,000-square-foot gallery space, and the still-free Roman Forum. “Because I went, not merely as a traveler, but as a pilgrim [of the arts] my experience improved tenfold,” said one T+L enthusiast. “To be so [encircled by] relics and religious history was definitely a spiritual high point in my life.” Another timeless facet of the Roman itinerary? Gelato. This creamy treat gets a sophisticated upgrade at Carapina, where gelatio Simone Bonini serves flavors made with almost-black chocolate and 36-month aged Parmesan. Many would agree with the observation that “New York has more culture per square mile than any other city in the US.” The customs and cuisines of many countries worldwide have been preserved in this gridded metropolis, which is perhaps best known for its daring architecture and theatrical arts. The Empire State building and the Statue of Liberty may be symbolic of New York City, but even its newest additions play an important role in expressing the history of this place. Take your time exploring the One World Trade Center, lingering first at the 9/11 memorial before ascending to the three-story observatory occupying the 100, 101, and 102 floors for staggering views of New York, New Jersey: even the slight curve of the horizon when the light is just right. Later, take a stroll along the High Line (now home to pop-up art exhibitions and food vendors) before taking in a show on Broadway. 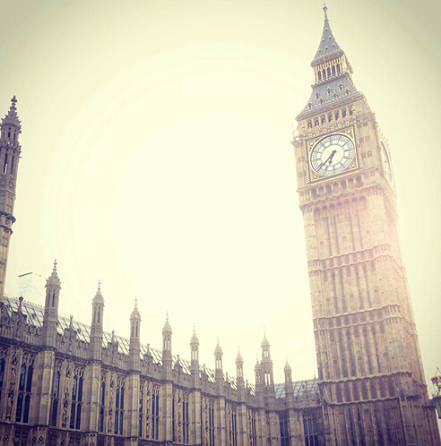 You will never be at a loss for things to do in England’s capital city, which is truly international and cosmopolitan as much as it is quintessentially British and old school. Yes, there’s Buckingham Palace, tours of the Tower of London led by Yeomen warriors, and Westminster Abbey (go for free during an Evensong service and skip the queue). And in the summertime, there are open-air Shakespearean productions at the Globe Theater, just a quick walk across the ultra-modern Millennium Bridge (or the ultra-old London Bridge) and beside Borough Market. But London has its lesser-known diversions that are just as worth the time and effort to see. Experience the rich global diversity of London in the Brick Lane neighborhood, where you can feast on the best Indian cuisine outside of India, or at the British Library, which houses original Beatles lyrics scrawled on used napkins, the Magna Carta, and Handel’s original messiah. Russia’s second-largest city has emerged spectacularly from its shadowy Soviet past. Palaces and cathedrals are pulled straight from Candyland, with their colorful mint-green facades, golden spires, and the richly-mosaiced exteriors. 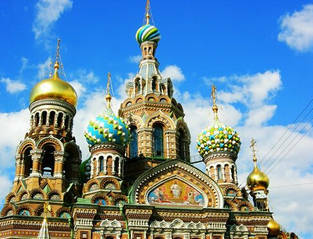 The distinctly Moscovian Church of the Resurrection, the Winter Palace (which houses the Hermitage Museum) and the Cathedrals of Saints Peter and Paul are can’t-miss sights in St. Petersburg. Arrive in the summer for comfortably warm afternoons climbing the colonnade at St. Isaac’s Cathedral for panoramic views of the city, as well as picnics in the Alexandrvovsky Garden and hunting for the dozens of statues spread throughout. Art and politics in Russia are not mutually exclusive, and this can still be witnessed today at the new 2,000-seat Marinsky II theater. One of the most beautiful cities in the U.S. Everyone must visit here at least once. 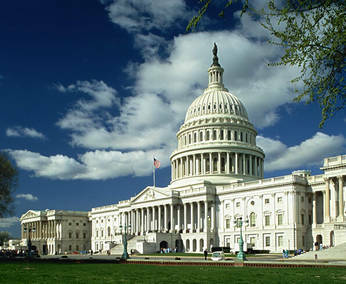 The museums, monuments, and history of our country make it more than worth a trip. You can’t miss D.C.’s heavy hitters: the Washington Monument, the Lincoln Memorial, and the Vietnam Veterans Memorial. Whole days could be passed at the Smithsonian’s 17 museums (the Downtown National Air and Space Museum, home to the 1903 Wright Flyer, is on par with its annex at Dulles International Airport—the final resting place of NASA’s workhorse, the Discovery space shuttle). In the spring, Washington, D.C. hosts its own lovely cherry blossom festival. D.C.’s burgeoning cultural center is inarguably Dupont Circle, where visitors can peruse fashionable boutiques, record stores, galleries, and dine on some of the most innovative restaurants in the country. Let yourself get lost in this labyrinth city of canals and crooked stone plazas. When you’ve had your fill of Venetian architecture (a fascinating amalgamation of Italian, Byzantine, and Ottoman-styles) duck into one of the city’s premier art museums, Ca ‘Pesaro or Galleria dell’ Accademia di Venezia. Work up an appetite wandering the network of pedestrian alleys and romantic bridges and order a bowl of pappardelle with fritto misto at Da Fiore, a necessary reservation for foodies from around the world. 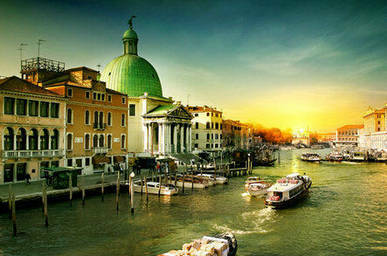 Yet Venice has been quietly contemporizing in both art as well as cuisine. Admire colorful Venetian glassworks at the new Fondazione Giorgio Cini, or enjoy an evening at the cinema Teatrino Grassi, restored by Pritzker Prize-winner Tadao Ando. Pick up a box of vanilla pastry cream tortellis with maraschino filling from Ristorante Quadri for the walk home. Heritage is hotly debated in this controversial Middle Eastern city, though it is perhaps one of the only places in the world where churches stand peacefully next to mosques and synagogues. Everything here seems covered with 4,000-year-old Judean dust, yet it a surprisingly modern and youthful city. At night, the bars surrounding Zion Square come to life, while hand-fried falafel and slabs of pistachio-crusted halva can be found in force at Mahane Yeuhda market. There is perhaps no better way to unravel Jerusalem’s complicated religious and cultural history than by visiting Yad Vashem (the Holocaust History Museum) the warped triangular prism that bursts from the western slope of Mount Herzl. 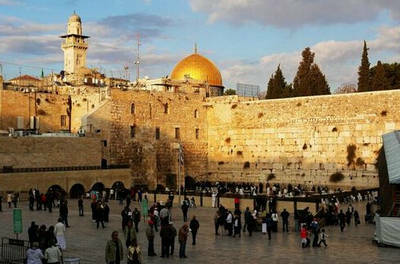 Like Florence, Jerusalem has its own landmark, the Dome of the Rock, with gold cupola lit like a metallic flame In the desert sun. For some T+L readers, “Vienna is like a [gem] in Austria's jewelry box.” It’s the perfect place to develop an appreciation for classical music and Austrian pastries, like apple strudel at Café Weimar. Hapsburg-dynasty architecture evokes Vienna’s imperial past, especially in masterworks such as the exquisite baroque Austrian National Library, a royal library until 1920 still guarded by the Goddess of Wisdom and home to the Globe Museum, with terrestrial and celestial globes all crafted before the end of the 19th century. But you cannot experience Vienna without seeing Mozart (or at least his costumed doppelgangers). 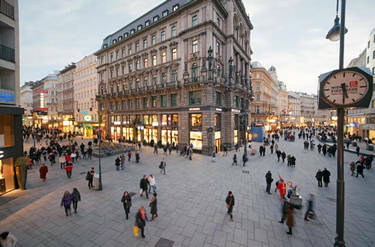 At Wiener Staatsoper, you can view 19th-century frescoes as well as world-class opera performances. For something a bit more contemporary, listen to a performance by the Vienna Boys’ Choir in the modern music house, Muth. 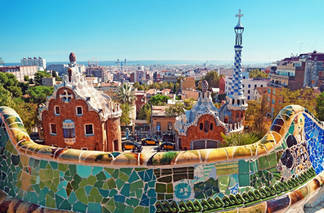 Barcelona is not unlike Madrid’s cool, youthful, bohemian cousin. It is an energetic mosaic of sunlight, tapas, surreal Gaudí architecture (including the sandcastle-style Sagrada Familia temple, Casa Batlló and Park Güell) and verdant parks. History is richest in the Catalonian capital’s El Born neighborhood, where narrow streets maintain no-car policies and vestiges of the 1714 remain in sites such as El Fossar de les Moreres memorial square and El Museu del Born. Meanwhile, modern art thrives in the gleaming zinc-and-glass Les Glòries, the Fundació Joan Miró, for the eponymous artist’s six decades of surrealism, and MACBA, where collected 20th-century and contemporary works by Clemente, Fontana, Matta-Clark, and Tàpies are on view. Mediterranean and Moorish cuisine is delivered in the form of inventive tapas at restaurants and bars across the city. Try sheep-milk curd and rosemary honey chicharrones at Sagàs Pagesos, and Bar Celta Pulpería’s marinated octopus a la gallega. 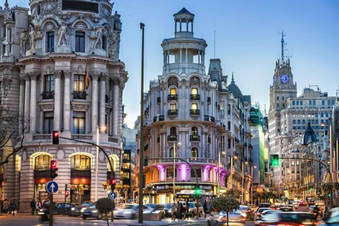 Go to Madrid to glut yourself on art and architecture, most notably the Iberian stone bust Dama de Elche at Museo Arqueológico Nacional and masterpieces by Titian and Hans de Beken at the 16th-century Monasterio de las Descalzas Reales, where nuns still roam the tranquil cloister barefoot. For a dose of modern Spain, don’t miss out on the nightlife: the dance clubs are legendary, especially the flamenco haunts. Grotto-like Candela runs into the early morning hours, while neuvo-style beats blast from Suristán. El Rastro flea market, particularly the collection of antiques in Galerías Piquer, is a necessary stop for any visitors craving a bit of Spanish-style shopping. 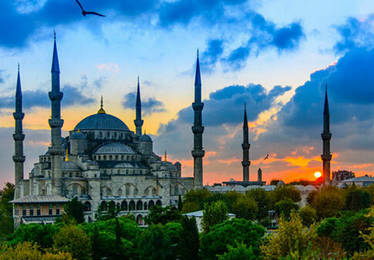 Travel back in time in Istanbul, the only city to straddle two continents. The birthplace of the Byzantine church is celebrated for its well-preserved ancient relics, like the Hagia Sophia, Christian mosaics and frescoes, the Blue Mosque and the Topkapı Palace. Bustling markets are as rich with Turkish culture as the tireless nightclubs. If time allows, take a cruise down the Bosporus for an unparalleled view of Istanbul’s medieval ruins and sparkling palaces. Old Istanbul still resonates with the footsteps of marauding Crusaders. After touring the highlights, sybaritic restaurants and nightclubs rival London and New York’s mainstays.